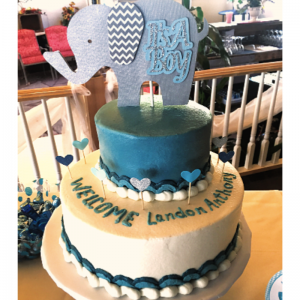 Are you in charge of planning a Baby or Bridal shower? At The Carriage House Restaraunt, you don’t have to feel stressed. We have a beautiful and spacious venue perfect for your shower. If your gathering takes place during the warmer months, you’re welcome to use our gorgeous Garden Terrace for the event. We have a variety of menu options available for Baby & Bridal Showers. We offer Hot Buffet options, Limited Sit-Down menus, or a Ladies Tea Luncheon. For breakfast lovers, check out our Brunch Buffet option available for Baby & Bridal Showers. We also offer additional add-ons including Wine Carafes, Fresh Fruit Cups, and more! Best of all, our in-house bakers can provide you with a beautiful Special Event Cake. The cakes may be customized to fit your liking and are professionally decorated. 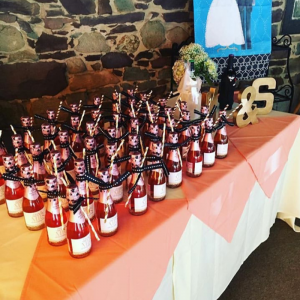 Baby & Bridal Showers are always a hit at The Carriage House! If you’d like to know more about hosting a shower with us, fill out the form below and we’ll be in touch! Had my daughter’s baby shower there, Donna the owner was very accommodating, beautiful environment, excellent friendly, attentive staff and food was terrific. Five thumbs up! Highly recommend and reasonably priced. They made hosting the baby shower a simple task. 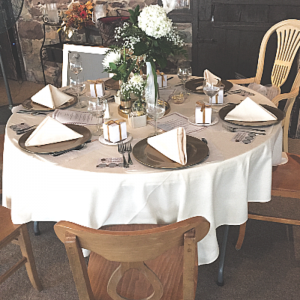 From the colors of the linens to the creation of a personalized menu to the beautiful cake, I was guided through the process and aided by their suggestions and ideas. If you have an event small or large, this is the place to celebrate it! 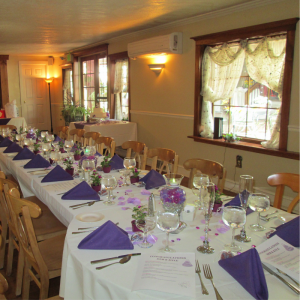 Beautiful venue, spotless, good parking, friendly and attentive service. The menu was nicely varied and the food was excellently prepared! Much better food and a delightful change of pace from national chain restaurants for about the same price.